In the culinary arts, the word frisée (pronounced "free-ZAY") refers to a variety of endive with curly, pale-green or yellowish leaves. The catalog of leafy vegetables that go by the name endive can be somewhat vast and bewildering, and not always accurate. 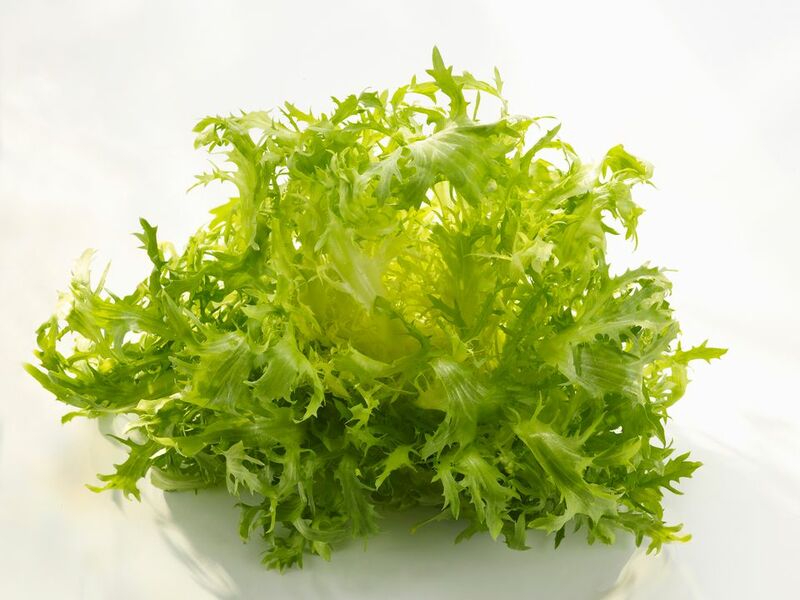 Taxonomically speaking, all frisée are endives, but not all endives are frisée. Frisée is sometimes called curly endive or chicory. But unlike some endives, frisée does not have a cylindrically shaped leaf. Instead, it's rather shaggy and bushy. Frisée is similar to but has smaller leaves than, escarole. As if this were not baffling enough, what we in the U.S. (and France) refer to as frisée is in turn called endive in the U.K. Complicating matters even further is the fact that restaurant owners are always on the lookout for new ways to describe familiar ingredients to make them sound more exotic because doing so means they can charge more. Thus, for years the word frisée supplanted the prosaic-sounding chicory on U.S. menus. But as the pendulum inevitably swings the other way, and restaurants look to cater to patrons seeking a more rustic, "locavore" experience than what the French-sounding frisée implies, the word chicory is finding its way back onto menus. With that out of the way, we now come to the lettuce itself. Like escarole, frisée is frequently used in salads. While it can have a slightly bitter flavor, frisée is much milder than other varieties of endive such as radicchio or Belgian endive. What's wonderful about frisée is that it is the perfect accent for any salad. Its bitter flavor adds just the right balance, especially when paired with fruity dressings. Its puffy, cloudlike shape provides an appealing contrast to flatter lettuce leaves. Similarly, its finer structure yields a different sort of bite, so that each mouthful of salad offers a variety of textures. Finally, its pale green to yellow color helps offset the preponderance of dark green produced by the primary lettuce, whether it's Romaine, green leaf or red leaf. A traditional dish featuring frisée is the classic frisée aux lardons, which is standard fare in the typical French cafe or bistro. It's made by blanching thick slices of bacon, then dicing and browning it before combining it (along with some of its rendered fat) with olive oil, mustard and lemon juice to form a vinaigrette. The frisée is then tossed with this vinaigrette, and served topped with a poached egg and shaved Gruyère cheese, along with toasted croutons. You can plant frisée in the spring for an early summer harvest, and again in the fall for an early winter crop, although you might be able to push it into December if you live someplace like California. Some people claim that fall frisée has a superior flavor.